We offer wide range of Brass Moulding Parts having wide range of applications such as CPVC, PPR Fittings, Automotive Parts, Gas Parts, Epoxy Parts, Electric Components. 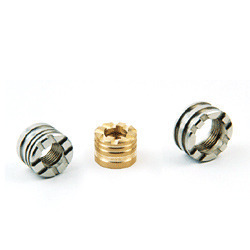 By keeping a track of advanced market expansions, we are affianced in offering optimal quality Brass Male Female CPVC Insert. As per the latest industry guidelines, our offered product is designed & manufactured at our production unit. We also assure the quality of this product after checking it on numerous constraints. Obtainable at market-leading rates, the offered product is accessible in sophisticated design and reasonable rates. 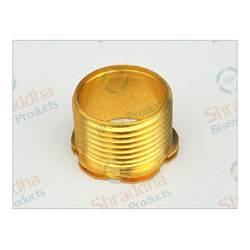 Our company is renowned as an eminent manufacturer and supplier of a quality rich assortment of Brass Insert. We deliver these products in tamper proof and quality rich packing material so as to maintain their superior quality standards. Apart from this, our reasonable rates and on time delivery of this collection makes us a preferred choice of our customers. As a recognized organization, we are offering an extensive array of Brass Hose Barb that is used for connecting trash pumps and vacuum trucks to suction. This brass hose barb is manufactured in adherence with several quality parameters utilizing utmost grade material & innovative technology. Our brass hose barbs are offered on different specifications as per the demand of customers in a stipulated time frame. Offered brass hose barbs are completely tested on different quality levels to ensure its flawlessness. 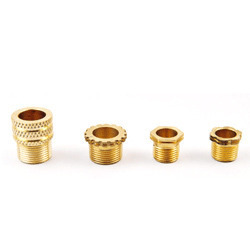 We are renowned as the most popular enterprises in this industry, offering a high quality Brass Inserts Nut that is used to connect rubber hose with the cylinder or valve nozzles. These steel pipe flanges are tested in terms of quality by our quality experts for delivering a defect free range. 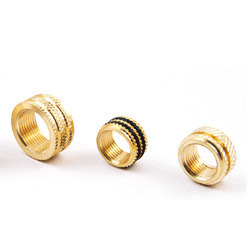 Our professionals manufactured these brass inserts nuts by using world class material in adherence with international standard. 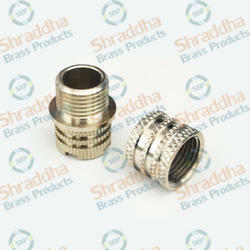 We offer these brass inserts nuts at nominal rates in a confine time frame. Size: 1.1/4" x 1.1/4", 1.1/2" x 1.1/2"
We Manufacture Components for Expoxy House. Enriched with years of involvement and knowledge, we are providing a faultless assortment of Brass CPVC Fittings Female Insert. Our offered collection of these products is inspected on defined quality norms and parameters of the industry before delivering to customers. Quality assured material and highly pioneering machines are used at our manufacturing unit in developing of this product. 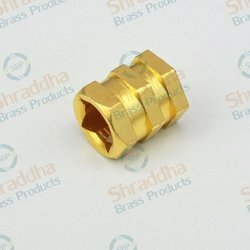 In order to provide the miscellaneous requirements and demands of our customers in the best possible way, we are betrothed in manufacturing and supplying to our patrons Brass Female Inserts. Offered products are rigorously examined on numerous quality parameters before they are dispatched. These products are acknowledged due to their robust construction. 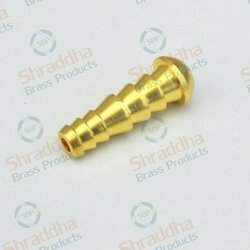 With a detailed considerate of the respected industry, we are manufacturing an enormous collection of Brass Male Insert for our customers. These provided products are highly popular and known for their superior quality. Fabricated and developed utilizing best grade basic materials, these products are highly demanded in the market and applauded for their best quality and robust built. 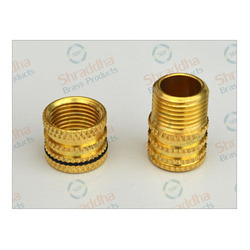 Our organization is renowned in industry and is occupied in manufacturing and supplying of superior quality assortment of Brass Male Adapter. To accomplish the different needs and requirements of our customers, we are manufacturing them in various sizes and dimensions. We also offer the facility of modified solutions of these products as per the necessities of our esteemed customers. 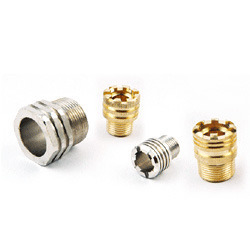 We are one of the prominent manufacturers and suppliers of Brass Insert for Compression Fitting.Our range of products can be availed in standard as well as customized options as per the requirements of our clients. 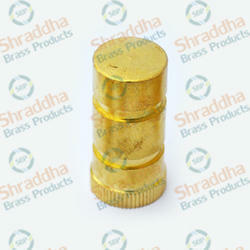 Brass Inserts are mostly in different applications used in the industries as well as mechanical applications. 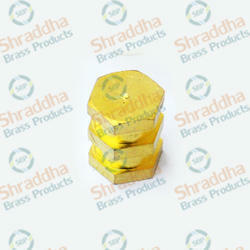 Looking for Brass Moulding Inserts ?